Soooo I used to do weekly love lists and I realized I honestly didn’t have different favorite items every single week. I don’t know how bloggers find things to love every single week, haha! Anyway, I decided to change it up a bit and do monthly favorites on the last Saturday of every month with today’s post being the first! 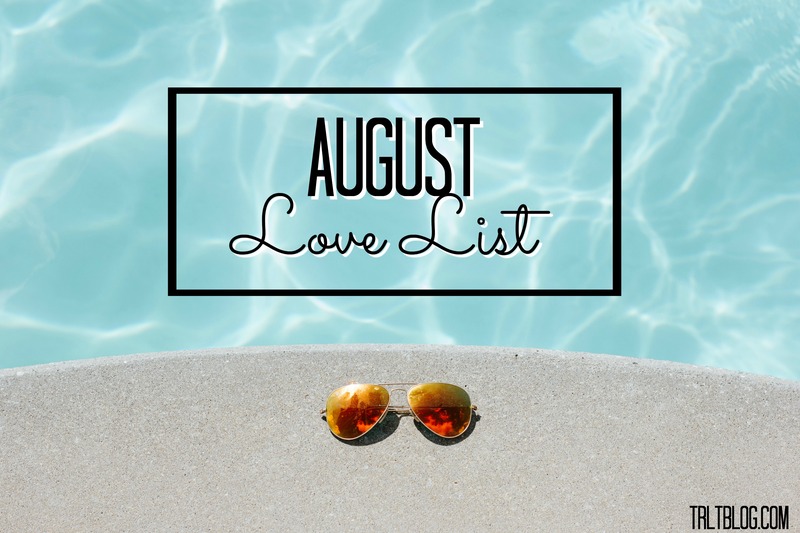 Make sure to play along and comment some of your August favorites so I can also discover some new things! Okay, here we go! I put this baby together all by myself and I am honestly so proud of myself. I have no building skills what-so-ever but an hour later and this beauty was born! I purchased this desk from Target for only $89! It’s still on sale but for $98.99 which is still a great deal for a really nice and sturdy desk! Definitely recommend! I wrote a blog post about my first month using Hair, Skin and Nails that you can read here! It’s definitely a favorite this month. I’ve honestly noticed a huge improvement with my hair since writing that post and I’m so happy with the vitamins. Plus, they taste amazing so it’s a win-win! If you’ve been reading the blog this summer you know I’ve been binge watching One Tree Hill and definitely became obsessed. Although I don’t like season 7 as much as the others, I knew I needed a reminder of what had been. So I purchased this sweatshirt from White Wolf Design on Etsy and I’m absolutely in love. The quality for the price is amazing and it is seriously so comfortable. I’ll be living in it once it starts to get cooler outside. Currently eating while typing up this post. I love me some cheerios always. And I seriously cannot wait for the new Pumpkin Spice Cheerios. I bet they will taste amazing! Not many favorites this month but I’m hoping for more in September!